Frankie Hi Jenni, Welcome to Chicks, Rogues and Scandals! Thank you for taking the time to chat with me today. Jenni Technologically incompetent caffeine/chocolate addict. Jenni I used to think the Wild West, but then I watched Westworld, so now I’d probably say the height of the Victorian era. I’d wear the biggest crinoline I could find and go to the Great Exhibition. Then I’d have Afternoon Tea (the greatest of all Victorian inventions). Frankie Ooh, yes! Can you tell us a little about latest release? This can be your most recent or up-and coming release. Frankie Now this sounds like my cup of tea, Yorkshire, Military heroes and Victorian, perfect! Who was your childhood hero? Jenni Jane Russell. I used to pretend to be her character (Mike) in ‘Son of Paleface’. She was a cattle-rustler/saloon singer and I thought she was fabulous. Then I wanted to be Deanna Troi in Star Trek: The Next Generation. Apparently I like dark, sultry brunettes. Frankie If you could have one of your books made into a film, which book would it be and who would play your lead characters? Jenni My next book, which should hopefully be out later this year. I don’t have a title for it yet, but it’s set on Hadrian’s Wall in 197AD and there are some action scenes I’d like to see onscreen. 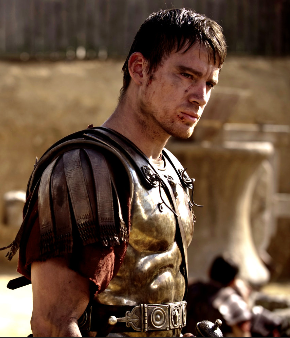 My heroine would be played by Eleanor Tomlinson from Poldark and my hero would be Channing Tatum (looking exactly the way he does in The Eagle). Frankie Oh, my!! 😉 Out of all your work, who is your favourite character and why? Jenni Aediva from ‘Married to her Enemy’, just because she was my first heroine. Also she’s brave and feisty and fiercely protective of her family. Frankie Where doe’s your inspiration for your books come from? Jenni Sometimes from visiting castles (one of my favourite hobbies), sometimes from reading history books (‘Besieged and Betrothed’ came out of my interest in Stephen and Matilda) and sometimes just randomly. I’m working on a Regency that was inspired by a biscuit! Frankie Ha,ha,ha! A biscuit? Intriguing, What three tip’s would you pass on to an aspiring author? Jenni Read lots, don’t compare yourself to anyone else (easier said than done) and remember that we all get writer’s block sometimes. Jenni Two of my favourite Medieval women, Empress Matilda and Eleanor of Aquitaine, just to see who was the biggest diva, and Dr Janina Ramirez. I met her at a book festival last autumn and she was lovely. She gave me a hug! She’s also incredibly smart – with fabulous taste in shoes – so a great role model for women all round. Frankie Ooh, I like, strong women putting the world to rights! 😉 Thank you, Jenni for taking the time out of your busy schedule to chat with me today, I have just one more cheeky question, just for fun . . . What is your all-time favourite naughty but nice food? Oh, Yummy! Thank you Jenni. 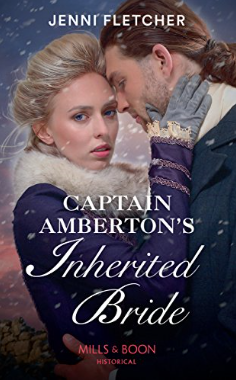 Jenni’s up and coming release; Captain Amberton’s Inherited Bride is to be released on 22nd March. Due for release 22nd March can be pre-ordered at Amazon. This entry was posted in Exclusives, Interviews, Medieval Romance, Uncategorized and tagged Author Interview, Exclusive, Jenni Fletcher, Mills and Boon.